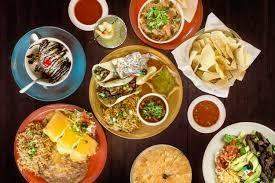 Established over 10 years is this reputable Mexican Bistro It is very popular with all consumers who want quality, authentic Mexican foods. Many people say: “that the food tastes very authentic ”. Their recipes feature All organic and natural ingredients. Their top quality products are sold by many retailers across Western Canada. Turn Key operating Bistro with many repeat customers. Training Provided There are many opportunities to increase revenues and grow the business for the right owner/operator. Their sales have been gradually increasing year after year. Gross sales : $ 700,000( 2017-16% increase over 2016) ; $ 602,000 (2016). Description: The home at Calgary, Alberta with the MLS® Number C4214846 is currently listed at $490,000.